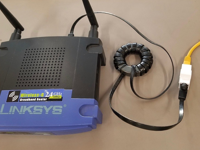 Time to reduce the annoying RF sources that are picked up in your radio, or cause havoc with interconnecting shack equipment. Our choke kits provide the ferrite, the cable, and the know-how to stop or dramatically reduce RFI on coax, USB cables, and ethernet cables. 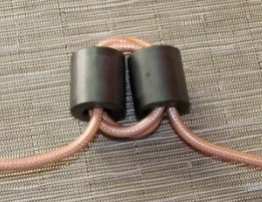 If you own an antenna fed with coax, you need RF chokes on the feedline! Using a choke/balun with adequate RF choking impedance will improve the performance of your antenna, prevent pattern distortion, and prevent RF coming down the feedline, which can cause RFI. Many antenna manufacturers simply do not provide an adequate balun with their product, or one that has no choking function at all. Long coax runs can benefit from additional chokes near the shack as it cuts down on receive noise. Other types of cables benefit in the same ways a coax. USB and ethernet easily pick up radiated RF energy and conduct it right into places it does not belong. Put an end to annoying RF related problems with our choke kits. Check out our TECH page for lots of information on ferrite material and how to properly use it. Time to reduce the noise in your shack! Most baluns that come with antennas these days do not provide enough choking impedance. Replace that ineffective balun that came with your antenna, or add an Excellent Choke where your coax comes in the building. The Excellent Choke has over 4000 ohms of choking impedance at 14 MHz! Every HF installation should have a high impedance choke on all cables leaving the tower and at the building entrance. W1HIS’s Excellent Choke is an affordable solution. Avoid paying higher prices by sourcing materials from different vendors and paying multiple shipping charges. Get all the parts from one source! • High performance, high choking impedance stops common mode on coax shield. • Reduce RF in the shack problems (hot mic, feedback, etc.).  • Eliminate RFI issues around your house (TV, radio, computer, stereo, etc.). • Lower your receive noise floor. • Can be used at feedpoint of your antenna (replacing balun that came with your antenna), AND/OR at output of radio gear. • RG 142 coax: Teflon dielectric, silver plated copper clad steel conductor, and TWO silver plated braid shields. • Suitable for legal limit RF levels. 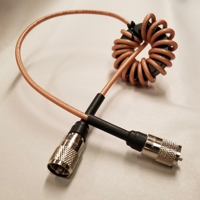 Kit includes four Mix 31 ferrite beads, 4 feet of Mil Spec RG 142 coax, and two silver plated teflon PL259 connectors and reducer bushings. Requires soldering PL259‘s onto the cable; comes with winding instructions. Choke is approx. 20” long. Looking for ferrite beads, toroids, and clamp-on units? Visit our ferrite page. 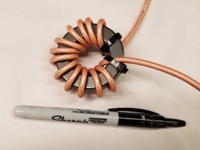 Utilizing high performance RG-400 coax, these choke can provide thousands of ohms of choking impedance (depending on frequency desired and number of winding turns). Choke kit is a KIT (U-wind-it, don’t sweat) and comes with connectors factory installed for easy installation. Suitable for all HF bands 160m to 10m; choke can be built to your target frequency for maximum choking ability to solve your RFI issues. Remember that RG400 is high end coax: TWO silver plated braid shields, teflon dielectric, and silver plated center conductor. This type of coax is absolutely needed as it can handle the tight radius bends around the toroids AND high power. The connectors are a perfect match: Silver plated brass, teflon insulation, soldered in place and heavy adhesive shrink tube seal. Easily handles legal limit power. Includes 6’ coax assembly, 2.4” OD toroid, zip ties, and winding instructions. Ever had trouble with RF knocking out your computer or the connection between the radio, computer, or other computer controlled interfaces? 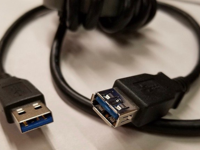 Stop that RFI with our USB cable choke! Like all of our products, cable is USB 3.0, made of high quality 28 and 24 gauge copper wire, with a foil shield and braid shield. One end is A male, other is A female for easy connection into your existing shack layout with minimal wire related messes. 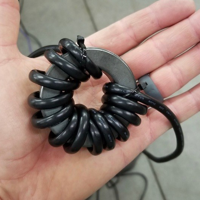 Comes with: 6’ USB cable, 2.4” OD toroid, zip ties, and winding instructions. Ethernet...a blessing and a curse (especially for hams!) Ethernet is a notorious polluter of the radio spectrum, especially if power over ethernet (POE) is used, and difficult to knock down. 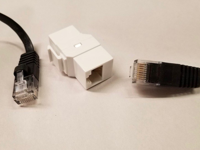 Ethernet choke kits are specially designed by a team of RF professionals and thoroughly tested on gig speed internet without interrupting, slowing, or loss of signal. Flat cat6 ethernet cable is the key, which handles the tight radius around the ferrite without disturbing the pair geometry. Achieving 25+dB of attenuation is easy by selecting the right ferrite mix and following the winding guidelines. Multiple chokes can be run in series using different mixes to cover more radio spectrum and increase attenuation. Comes with 5’ cat6 cable, ferrite, zip ties, and female to female inline coupler to make installing the choke super quick.